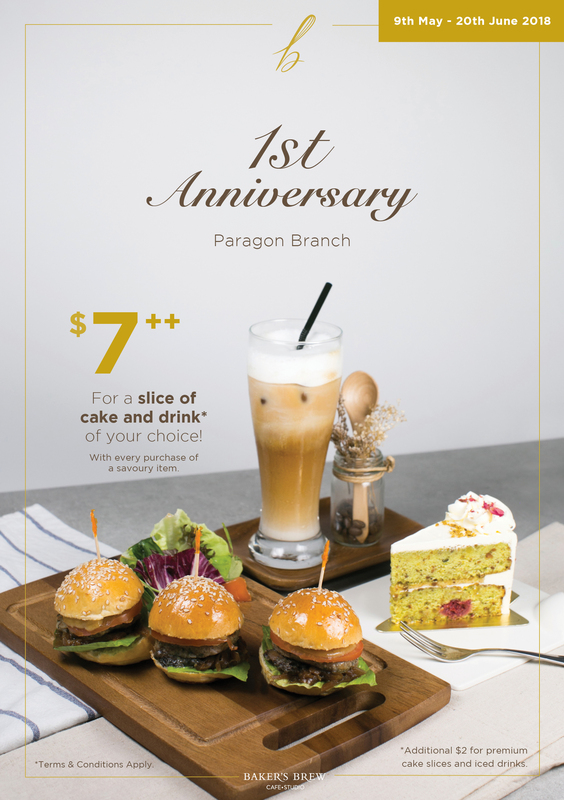 To Celebrating Our 1st Anniversary in Paragon, we are giving YOU a special treat!! Have a slice of cake and a drink of your choice for $7* with a purchase of any savoury item. *Terms and Conditions Apply. Additional $2 for premium cake slices and iced drinks.